Adventure Map The Alps  - $10.95 : Trail Explorers Outpost, Keeping the Adventure Alive! 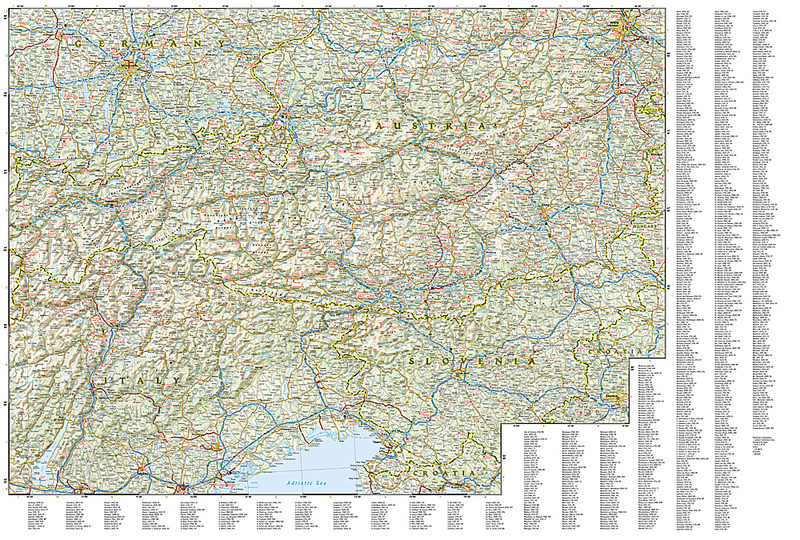 National Geographic’s Adventure Map of the Alps is an invaluable tool for travelers seeking to explore the iconic mountain range that stretches across eight European countries including Austria, France, Germany, Italy, Liechtenstein, Monaco, Slovenia, and Switzerland. 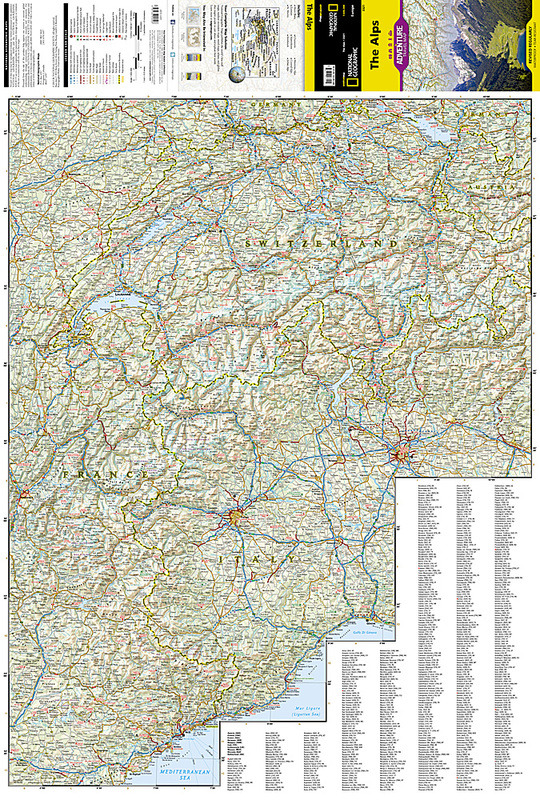 This expertly crafted map includes the locations of thousands of cities and towns with an index for easily locating them, plus a clearly marked road network complete with distances and designations for motorways, dual carriageways, trunk roads, main roads, and minor roads. Seasonal closures are noted as well. National parks, botanical gardens, castles, churches, hot springs, archaeological sites, spas, museums, and other points of interest are clearly indicated so travelers can take advantage of the region’s many natural attractions and activities.